A Naturopath is a health practitioner who applies natural therapies. Because Naturopathy is based on principles and not on specific therapy, you can find a Naturopath practising as a Nutritionist, Homeopath, Herbalist or Acupuncturist. I am a Naturopathic Nutritionist. A Naturopath looks at the whole person, instead of simply suppressing the symptoms. Symptoms seen in isolation may appear to be identical in different people, but the cause of those symptoms may be completely different. I want you to be the best version of yourself. As a Naturopathic Practitioner I see every person as individual with different problems and different goals. I will take time to listen to your specific concerns and develop a bespoke plan for you. I explore all aspects of your health (physiological, physical, mental/emotional, and spiritual) to connect the symptoms and try to find the root cause. This is called a holistic approach. As a Naturopath I believe that prevention is better than a cure and my focus most of the time is on finding the triggers and causes of your health complaints. Are you looking for a Naturopath in London? Nutritionist, Nutritional Therapist, Naturopathic Practitioner based in Mayfair, Central London and Teddington in South West London. Naturopathic principles were first used by Hippocrates. Principle 1: The healing power of nature (vis medicatrix naturae) – Naturopaths believe that the body has power to heal itself. A Naturopathic Practitioner works to restore and support the powerful healing ability of the body, mind and spirit and to prevent disease. Principle 2: Identify and treat the cause (tolle causam) – Naturopaths are trained to identify the underlying causes of health problems. A Naturopath evaluates root causes on all levels including physical, mental, emotional, and spiritual. Principle 3: First, do no harm (primum non nocere) – A Naturopathic Practitioner seeks to do no harm by employing safe natural therapies. Principle 4: Treat the whole person (holism) – Naturopaths look at the whole health picture of the person when preparing a therapeutic plan. Each person is unique and needs individualised health care. Principle 5: The Naturopath as a teacher (docere) – A Naturopath educates and encourages the patient to take responsibility for their own health. Principle 6: Prevention is better than cure – Naturopaths are trained in preventive medicine. A Naturopathic Practitioner may remove toxic substances and situations from person’s lifestyle to prevent and avoid further harm or risk to the person. Principle 7: Establishing health and wellness – Establishing and maintaining optimal health and promoting wellness are the primary goals of Naturopaths. Naturopaths believe in the body’s self-healing abilities, if we provide it with the right nutrients, avoid harmful lifestyles, and remove toxins. 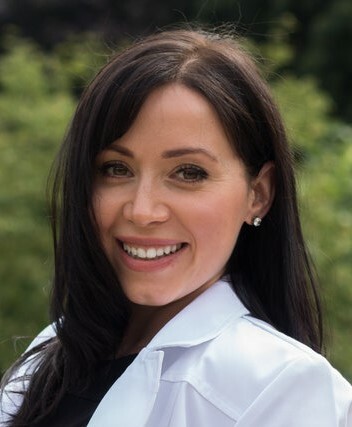 Naturopathic Practitioner aims to support and stimulate the body’s natural self-healing mechanisms through natural methods. To book a Naturopathic Nutrition consultation in London or via Skype, please contact me. What is Naturopathy (Naturopathic Medicine)? Naturopathy (Naturopathic Medicine) is a natural medicine. As a healing system, Naturopathy offers a holistic approach to health, looking at the person as a whole – body, mind and soul. The focus of a Naturopath is health promotion and the understanding that body is able to heal itself if given the right nutrients and support. Naturopathy is based on principles and not on a specific therapy, however the foundation of naturopathy is clinical nutrition (the use of diet as a therapy). Naturopathy (Naturopathic Medicine) aims to promote health by regaining the balance in the body’s systems. Naturopathy is not a quick fix and its success often depends on your commitment to making changes. As a Naturopath I educate, support and motivate you in those changes. Naturopathy aims to promote and restore balance by using various natural approaches that may include: naturopathic nutrition, detoxification, lifestyle advice, exercise, vitamins, minerals, herbal remedies, and other appropriate techniques such as homoeopathy or acupuncture. Naturopathy is also a way of life and the Naturopath helps to empower the clients through education about diet, lifestyle and exercise. There are many benefits you can receive from making an appointment with a Natural Health Practitioner (Naturopath). As a Naturopath in London, I combine science and nature to get optimal results for my clients. A Naturopath recognises that everyone is unique, and looks at the entire person including any physical health concerns, as well as any emotional and mental issues. A Naturopath treats the individual, not the disease. Like a health detective, I look at your medical history, laboratory analysis, lifestyle, family background, genetic predisposition, environment, toxic exposure, emotions and thought patterns to see your whole-health picture. Naturopaths focus on the root cause of health problems instead of simply masking the symptoms. As a Naturopathic Practitioner I can tailor a plan to suit clients of all ages and health complaints, to achieve beneficial results. A good Naturopath creates a plan that is personalised, natural, and safe. I integrate dietary and lifestyle advice, mind-body techniques, exercise, detoxification, vitamins and minerals to create the plan that helps bring the body and mind back to feeling well. As a Naturopath in London, I use Ayurvedic and Traditional Chinese Medicine (TCM) facial, tongue and nail assessment to uncover various causes of health issues. The goal of a good Natural Health Practitioner (Naturopath) is to educate their clients to the point that they end up knowing themselves how to maintain their own good health and wellbeing. The reason many people will see a Natural Medicine Practitioner (Naturopath) in London is so they can find natural, safe and effective solutions to their health concerns whilst improving their whole health. You do not need to have any health problems in order to see a Naturopathic Practitioner, however a Naturopath is often the last resort in a patient’s long search for health. An online consultation is available for clients who live outside the London area or who are unable to come to my office in Central or South West London.